Though you might not think of ants as formidable bodyguards, some do an impressive job protecting plants from enemies. Now, scientists at the University of Toronto have determined what makes some better bodyguards than others. 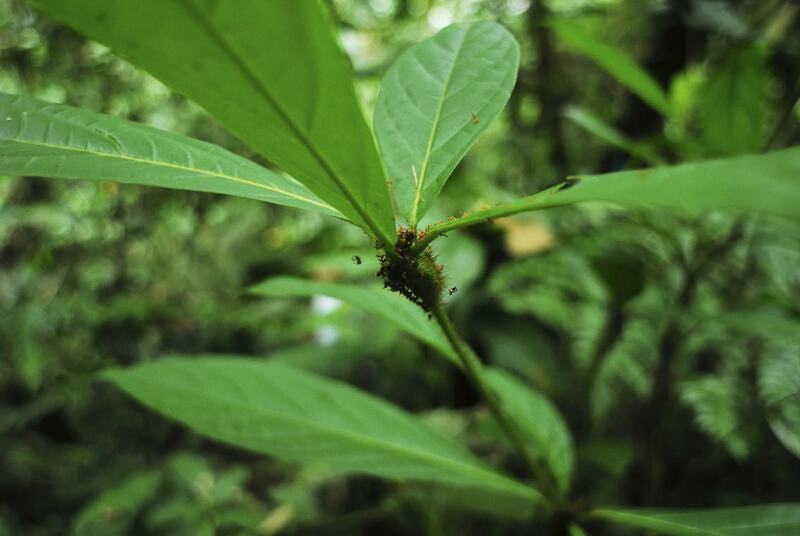 Examining the relationship between the Amazon rainforest plant Cordia nodosa in Peru and the Amazonian ant Allomerus octoarticulatus, they found the degree to which the ants express two genes significantly impacts the amount of protection they provide to their hosts. The ant-plant relationship is an example of a phenomenon in nature known as mutualism, in which two seemingly disparate species interact in a manner that is mutually beneficial for both. Two common examples of mutualisms are pollination and seed dispersal, both of which involve plants attracting animals that perform an important service by offering them a food reward. The features of mutualisms, however, vary across animals and species. Frederickson suggests that these domatia that give ants a home probably evolved because they attract the ants that keep herbivores off plants. The researchers zeroed in on two genes of Allomerus octoarticulatus that regulate foraging behaviour, knowing that how an animal forages for food often determines how much benefit its plant partner receives. Working in the field in the Peruvian Amazon, they fed some colonies a chemical that increases the activity of the genes’ products, and observed how it changed ant behaviour. They then collected the ants and brought them back to Toronto for molecular analysis. The results suggest a molecular basis for ant protection of plants in this mutualism. Previously, little was known about the genes or molecular mechanisms that make some ants better bodyguards than others. Frederickson and her colleagues suggest this research could someday help us understand what makes some animals better pollinators or seed dispersers too, although they caution that genetically engineering animals for these ecosystem services could have unintended consequences. The research was supported by funding from the Natural Sciences and Engineering Research Council of Canada (NSERC) and the Canadian Institute for Advanced Research (CIFAR).